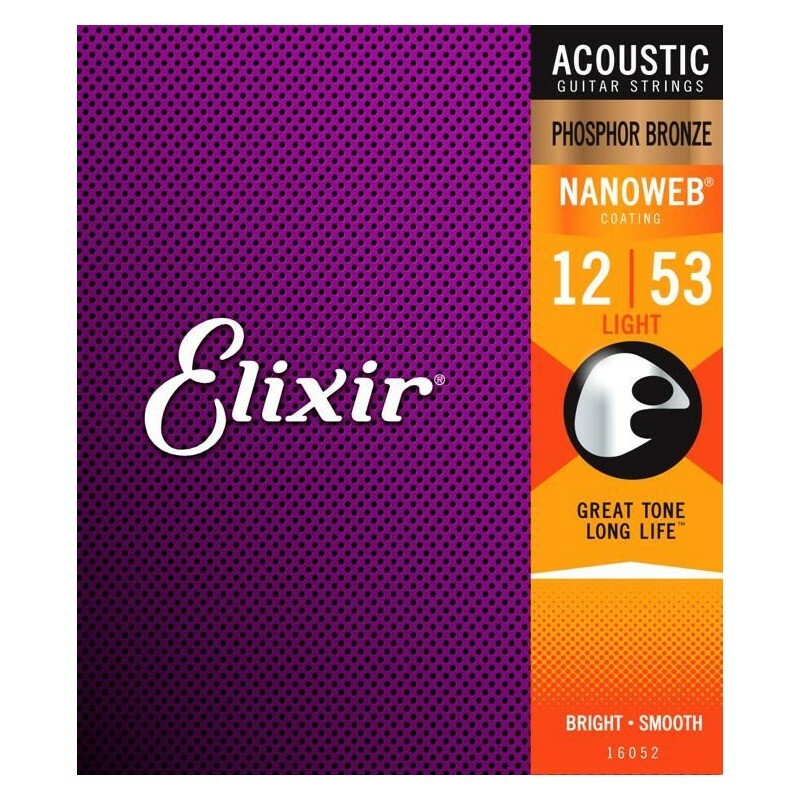 Phosphor Bronze with NANOWEB Coating deliver distinctive phosphor bronze warmth and sparkle together with extended tone life. Gauges: 012-053. Not all guitar strings are created equal. Even after just a few hours of play, dirt, sweat, skin oils and other debris will build up between the string's windings, causing corrosion in the metal. The result is a noticeable "deadening" of the string's tonal quality, which can happen very quickly with uncoated strings. 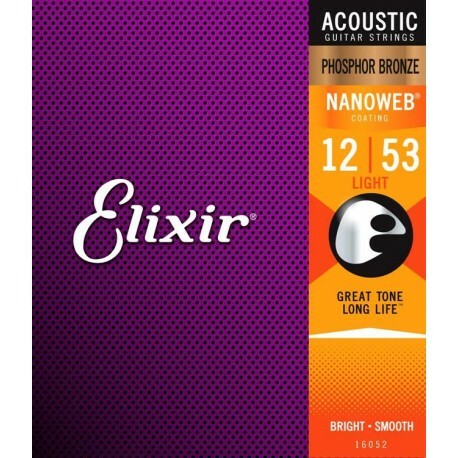 Elixir Phosphor Bronze strings begin with anti-rust plated plain steel strings that are corrosion resistant. They provide a clean feel and bright, vibrant tone. Both the steel core and its phosphor bronze winding are then treated with Elixir's patented Nanoweb thin polymer coating that completely envelops the entire string. This results in a long-lasting, rich tone with more audible high-frequency harmonics. The ultra-thin Nanoweb gives you the natural feel of untreated strings without sacrificing that important protection. This revolutionary product is a great value, as it means a dynamic and lively sound with less frequent string changes and fewer string purchases.